Medications are one of the main tools doctors use to maintain their patients’ health. We all know you take a Tylenol for a headache, and Advil for a toothache and Insulin for Diabetes, but for most lay people, not much more is known about these drugs. In addition, for individuals taking many medications, it becomes very hard to keep track of doses, times, let alone remembering to take all of the medication. Where do you keep all the information? Is all this information tracked by our doctor? 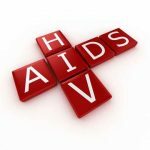 Simple answer is no – your doctor does not track OTC or supplements you take and if you see 2 or more doctors it is very likely they do not share this information with each other. You are often responsible for tracking your medications and keeping an up-to-date list. A very real problem with medications is their interactions. Pharmaceutical companies and medical insurers are sure to always suggest that people consult a pharmacist before starting any new medications, to avoid interactions. These interactions not just happen between prescription drugs, OTC medications and supplements can have serious interactions which can make you sick. When you go to your doctor, can you always remember all the medications you are taking, and what for? What if you’re taking one of your parents to the doctor? 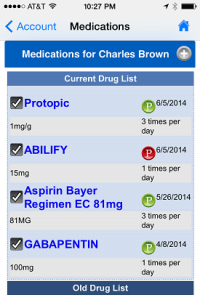 The simple task of keeping an up-to-date and accurate medication list can be a daunting for most patients. ZibdyHealth makes it easy and accurate, by letting patients scan in the manufacturer’s barcode for each prescription or over the counter (OTC) medication, and supplement. Each time a medication is scanned into ZibdyHealth it provides drug-drug interaction or overdose warnings against the user’s current medication list. A user can to do this before they purchase their OTC drug. We have over 1,064,018 healthcare products in our proprietary database, the largest pharmaceutical database in the world. ZibdyHealth has carefully optimized its database for mobile devices, limiting text to simplify and clarify information for our subscribers. Learn more by watching this video Manage Medication and Reminders with ZibdyHealth. 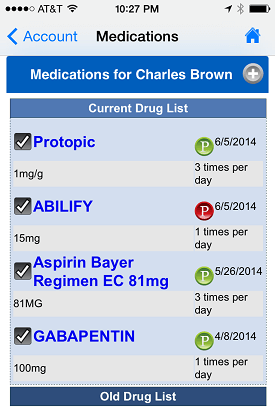 ZibdyHealth displays current meds – but also lets you see you past medications at the press of a button! You open a single medication to add reminders, and leave feedback. This feedback will be shared back with you or your connected family if any of you take the same medication ever again. Doctors frequently enquire about prior medications, and what reactions, if any, have occurred. ZibdyHealth stores ALL your medications, including those no longer current, and enables users to pull this data up quickly and easily. Reports of medications (current and/or former) can be generated from ZibdyHealth and either printed out or emailed. ZibdyHealth really helps you keep control of your medications! To improve medication compliance, the ZibdyHealth platform provides users with four different ways to set reminders (phone notification, email, text and phone call). Reminders for particularly vital medications (e.g. Insulin) can be “verified” – that is, an email is sent to the patient requiring the him or her to confirm if the med was taken or not. Every medication also has a Privacy button, which lets you set privacy at each medication level – allowing you to identify exactly who you wish to share data to with – which could be a doctor or a spouse, or even no one at all! Nobody else in your network will see that med, even if they can see the rest. ZibdyHealth is your one-stop application for managing your medications! 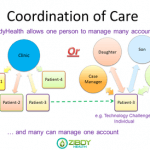 For more information watch our video “Managing Medications with ZibdyHealth” Tutorial Videos.